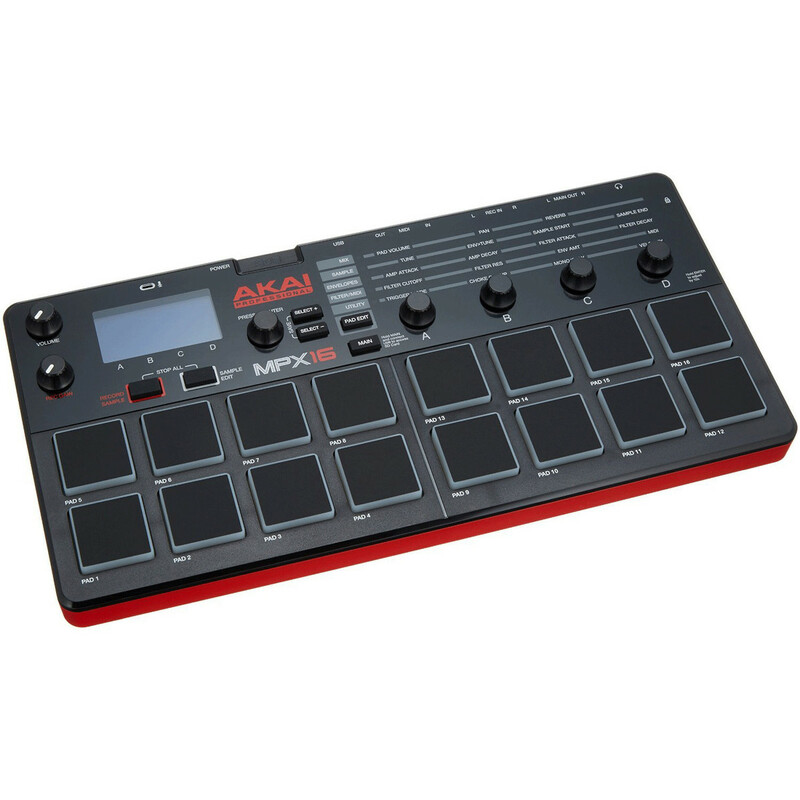 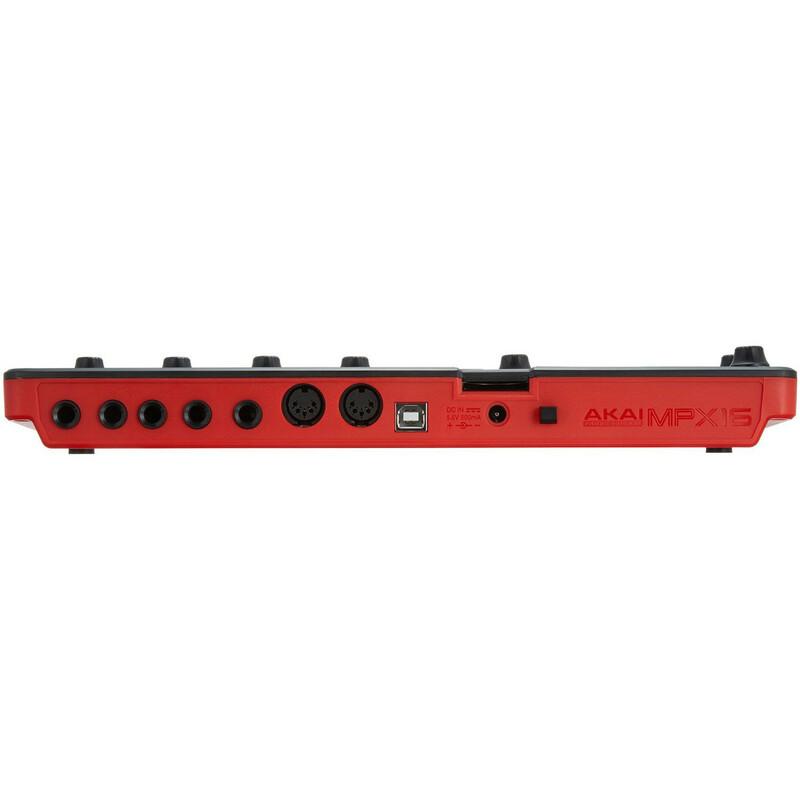 The Akai MPX16 is both portable and powerful making it reliable for live performance and adept for studio situations. 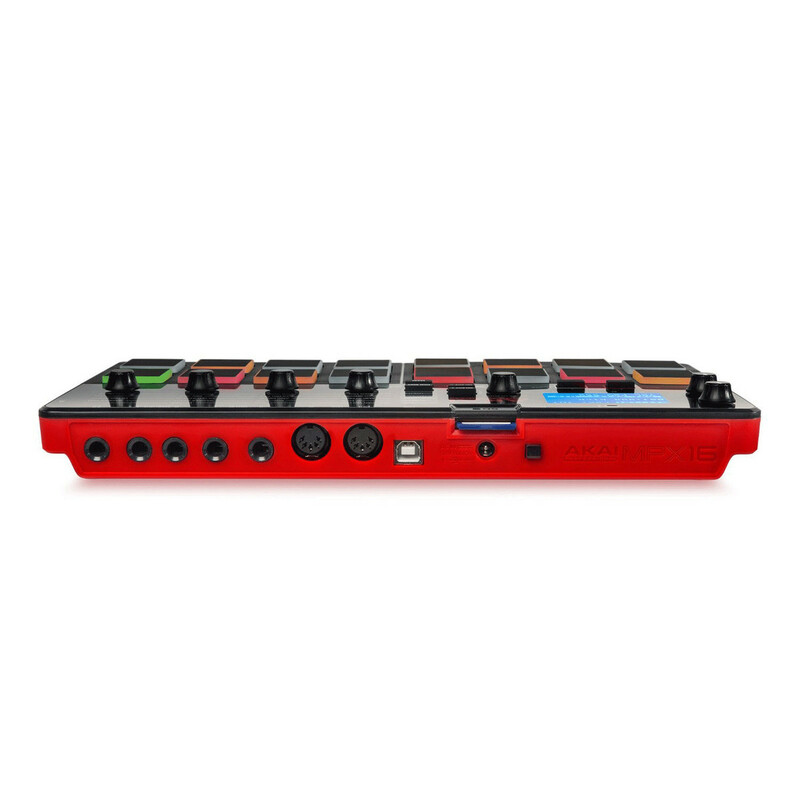 Like the popular MPX8, samples are triggered internally from the highly responsive MPC-style pads or an external MIDI device via USB-MIDI and 3.5mm (1/8-inch) MIDI inputs. 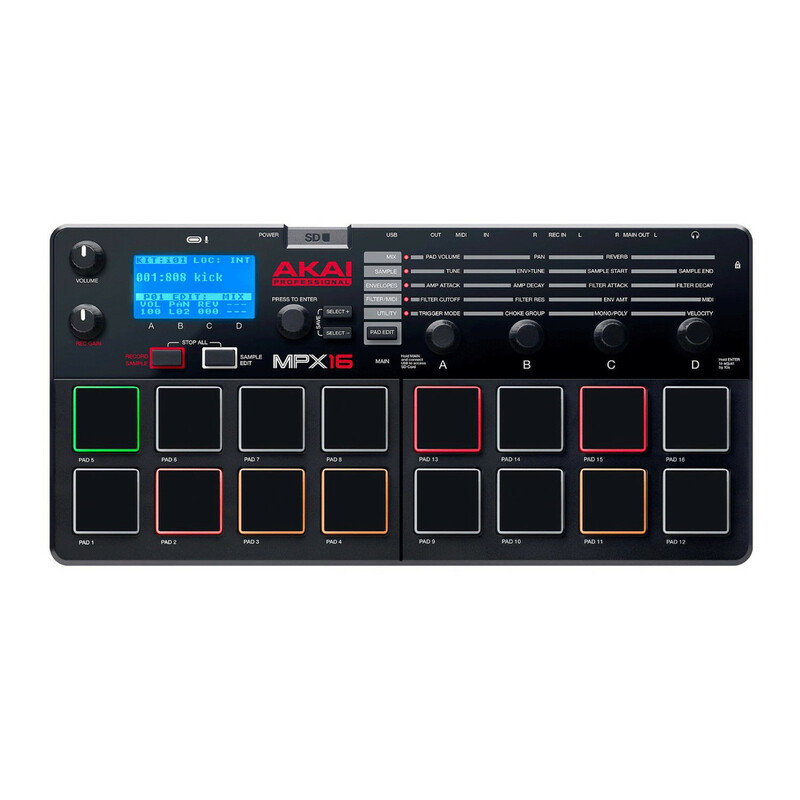 Also incorporating a built in microphone and feature-packed MIDI pad controller, the MPX16 is equally capable of launching and capturing clips or adding trigger pads to a producer's studio.